Icelandic composer Jóhann Jóhannsson has a particular talent for pulling together disparate music elements to craft sounds that can often lean towards the experimental – or towards warm familiarity. There’s some striking touches on his soundtrack work for science fiction film Arrival (nominated at the Golden Globes for ‘Best Score’). Often the bass-heavy tonal shifts sound suitably alien and lend a sense of unease throughout the film. 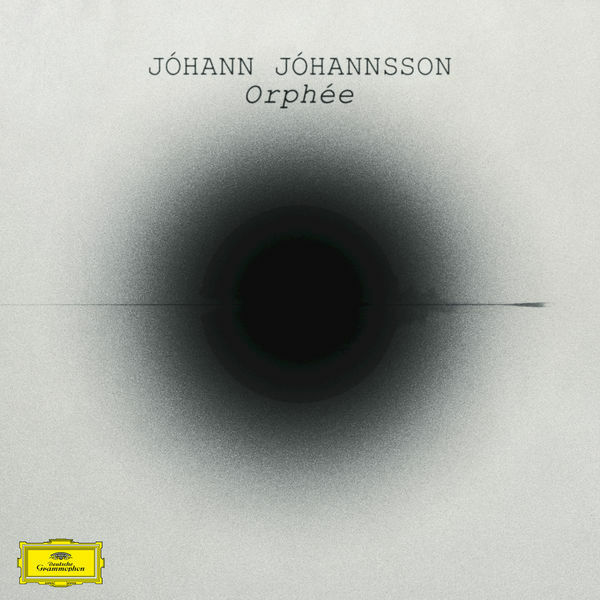 But 2016 also brought with it Jóhannsson’s latest studio album Orphée. Here, the emphasis slides more to the classical (Suitably enough, Orphée has been released on German classics label Deutsche Grammophon) and the odd nod to the likes of Erik Satie, but also with subtle electronic elements weaved into the various compositions. Orphée started out as a selection of pieces originally written in 2009, but then without a particular theme or direction. Later, drawn to Ovid’s Metamorphoses, Jóhannsson was struck by Ovid’s take on the Orpheus myth and its themes took on a certain resonance that seemed fitting for the developing album. “The poems themes of death and rebirth, memory, mutability, love and art seemed relevant to the time when I was working on this music” Jóhannsson recalls in the album’s sleeve notes, “a period that saw old relationships die and new ones begin, old lives left behind and a new life begun in a new city”. Cocteau’s film Orpheus, inspired by the Greek story, also lent some influence to Jóhannsson. In particular the scene in which Jean Marais is listening to strange, repetitive poetry on his car radio, punctuated by short-wave radio bursts of noise. Jóhannsson was struck by the similarities to the so-called number stations – mysterious radio broadcasts featuring odd melodies and broadcasters reading out seemingly random numbers and letters. These oddly haunting broadcasts have been a source for other unusual music compositions (The Conet Project springs immediately to mind) and lends Orphée a further enigmatic quality. The titles of the pieces themselves, which can read like the titles of a film soundtrack, also give the album an evocative feel without listening to the music at all. So ‘Flight from the City’, ‘The Drowned World’ and ‘The Radiant City’ and similar titles fire the imagination into crafting your own intriguing narratives. Opening track ‘Flight from the City’ has a repeating piano motif accompanied by strings that delivers a reflective musical composition. It’s a piece that serves as a perfect overture for the album as a whole. Meanwhile, ‘A Song for Europa’ weaves in ghostly recordings culled from the aforementioned number stations recordings against wistful strings. ‘The Drowned World’ has a musical box melody, which suggests an arctic scene while there’s a brooding oboe on ‘A Deal with Chaos’. Much of the album seems to adopt a particular Nordic feel with melancholic rhythms and an underlying sadness, which yet also has a sense of hope dotted across the various compositions. There’s certainly a warmer feel to the melodic touches on ‘A Sparrow Alighted upon Our Shoulder’. Elsewhere, there’s a sepulchral feel to pieces such as ‘Fragment II’. The closing piece, ‘Orphic Hymn’ presents an unusual approach for Jóhannsson who usually prefers to write purely instrumental compositions. The choral elements here however lend an evocative, religious air that runs slight contrary to the album as a whole, but is nonetheless a captivating piece of music. Although Jóhannsson has been recognised more for his soundtrack work in recent years, it’s perhaps reassuring to see that the composer can turn his talents in other directions. Orphée is also an album that seems perfectly crafted for long winter nights, so its release appears quite timely.